Another awesome giveaway! Thank you!! I already like TT.C on FB!!!! What a cute GC! 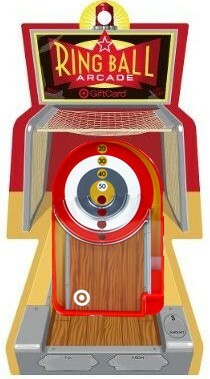 I love skee ball. I’m hooked on TT. Thanks for the giveaways. love the gift card design! Good luck everybody! I love this site. I LOVE TOTALLY TARGET!!! 🙂 I saved $77.00 this week, THANK YOU!! Please pick me! I would be so excited! MORE SHOPPING AND SAVING! With TOTALLY TARGET! What a super fun gift card! Thank you for the chance to win, I am a new blog follower and loving it so far! Love this site – thanks for the chance to win! love you on FB thank you for all your tips!!! Also like you on Facebook. I already “like” Totally Target! Thank you for the giveaways!